My answer is the same as it was in 2004 when the sewer in the middle of town appeared to be fait accompli. The community will be “Carmelized” or “Carmel-ized;” those who can’t afford it will sell and move away, leaving only the wealthy to afford the $165.00 monthly sewer bill. The funny thing is, those who cannot afford it are the reason the bill is isn’t as high as it could be; thanks to them the community qualifies as “disadvantaged.” The sewer project was able to access Federal and State low interest loans and grants based on that status. Never mind that those very people whose income saved the project millions will be gone, those left and those who replace them, will enjoy the lower rates for as long as 40 years. My activist mentor, the late-great Gewynn Taylor, called it “economic cleansing.” I’m glad she’s not here to see her prediction play out. What I never expected was for the Housing Authority of San Luis Obispo (HASLO) whose clients range from disadvantaged, Section 8 recipients, elderly and/or disabled and/or all of the above, to pass on sewer related costs starting July 1. HASLO’s mission is “committed to building and maintaining affordable housing for citizens in our community,” yet they appear to have buckled to the costs and associated expenses to hook up to the project and are passing them on now. HASLO recently implemented increases to both; deposits — some as much as $800 over that which has been adequate security and monthly rents — from $885 to $1,100 a month for a one-bedroom unit. Not to mention, within the notice was an invitation to move; as if the housing market is easy to navigate and rents are lower somewhere else. Some of the financial assistance programs the Los Osos Waste Water Project team has presented include deferred tax, low interest loans and service charge rebates; all of these options will be explored in workshops this summer. It seems to me HASLO and their tenants would be prime candidates for these programs; at least for the time being. Over time, attrition will occur and the residents will move on. Costs could be recovered as new tenants move in. HASLO is “committed to serving each Section 8 applicant and participant as well as the entire community in a manner that demonstrates professional courtesy, compassion and respect.” HASLO has missed their mark; this action has frightened these residents, handing them these outrageous increases and suggesting they leave their homes. The staff report explains that the funds are intended to assist a family, senior, or individual who is at risk of losing long-term housing due to an unexpected hardship. These funds may be used for rent and it is anticipated that once the eviction funds are utilized the client will stabilize and be able to continue paying their rent with no further emergency assistance. Studies have shown that it is less expensive to provide resources for an individual or family to retain their existing housing rather than allow an eviction to occur. Once permanent housing is lost, quality of life diminishes rapidly and the ability to find stable housing is difficult. This service is intended to be a safety net that offers preventative help to support these neighbors who are experiencing temporary personal difficulties. It seems to me this is a case of HASLO needing to look in the mirror. Its own property is experiencing “hardship” and its own clients are faced with steep increases that may lead to the inability to pay rent and may lead ultimately to eviction. Clearly HASLO and the county need to dialogue to ensure that HASLO’s own clients are not the first to be “economically cleansed” by the cost of the Los Osos sewer. 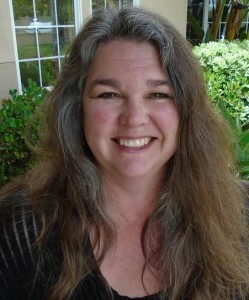 Julie Tacker is a 45 year resident of Los Osos and countywide activist. Oh no, it’s not the rocketing real estate prices and $500,000 fixer-uppers that are changing the home-owning demographic, it’s the $165/mo for the sewer. I think Julie is the new Judy Vick. In 1972, my family rejected buying a home in Los Osos due to the lack of sewer system. The realtor showing us property noted that there was a need for a sewer system, but there was resistance to doing it. Think about it, most lots are only 25′ wide and on septic systems and in an estuary that creates a water table close to the surface ~~~ what could possibly go wrong there? So here we are 43 years later. After many lost opportunities to install a sewer system, Los Osos / the County was finally forced to put in a sewer system. Every time over the decades that the issue came up, people objected that their property taxes would increase to install the sewer system. Each time it was postponed, the costs grew. Now the short sighted folks who have fought the inevitable for decades are still complaining. IF people had been even a little bit pragmatic and willing to do the right thing 40+ years ago, the costs would have been less and all of the current problems would have either not occurred or have been dealt with long ago. It’s time to stop hand-wringing; grow up people and get on with it. But for some people the “hand-wringing” is the only thing they feel makes them seem important. What’s wrong with your argument RC is that all the components of a sewer built 40 years ago would need replacing now and we’d be facing astronomical costs all over again. The sewers of the 1970’s, 80’s and even the 90’s dumped to creeks, oceans and bays, this would have emptied out the aquifer, never to be replenished. The sewer currently being built is designed to mimic the septic’s leaching hydrology. Yes, discharging into high groundwater and near the estuary. The difference is the level of treatment will be enhanced from Primary to Secondary. The septics treat waste at our homes, once the sewer system is up and running the raw sewage will flow through pipes to the treatment plant…this is what overflows in every other community — just like Oceano did over the weekend. Manholes are the points of escape should a line be clogged, backed up or root infested. What could possibly go wrong there? There are 900 manholes throughout the Los Osos system. In 1983 when the PZ was formed there were 1,150 fewer homes. If those homes had not been built we would not be in the mess we are today, i.e. depleting our water supply. I’m not complaining about the sewer project; I’m complaining that HASLO isn’t being creative and finding ways to fund their property improvements without passing the costs off to the disabled, disadvantaged and destitute.